Quick overview With introductions to each section explaining the main themes and issues raised, this book provides a collection of original source material that covers the history of medieval religion from the fall of the Roman Empire to the Renaissance. 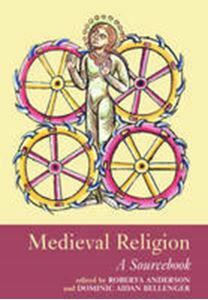 This book provides a wide-ranging collection of original source material that covers the history of medieval religion from the fall of the Roman Empire to the Renaissance. Easy to read and accessible to students, with introductions to each section explaining the main themes and issues raised, it provides coverage of the key elements of the history of the Western Church in the period, including: * the Papacy * saints * monastic orders * popular piety and devotion * sections on the Eastern Church, Judaism, Islam and Mysticism. The texts selected are arranged clearly in chronological order and each one is introduced by a brief editorial note to provide context. Medieval Religion also includes a comprehensive further reading section.